As you might guess, I am called on to review appraisals of marinas. Most of the time it’s to find ways for an attorney to attack another appraisal. Often it’s for a bank or an investor who now has a troubled property. So we don’t get off on the wrong track, how about some ground rules? I won’t be naming names. The names of the firms that employ the nameless won’t be mentioned. This is not a “rag on the appraiser post” or a moan-and-groan session about the industry. Yes, I have a real reason for writing this post. There are many questions I always ask about the report when I’m working in the capacity of a review appraiser. Still more questions are asked when I’m on the telephone with the appraiser who wrote the report (when it is necessary). When I have to contact them, rather than repeating myself, I’m going to send them this post via a hyperlink, introduce myself and give them some time to compose their answers. You could say that this is, in some ways, a review checklist. It goes way beyond that with commentary. So to help me I’m going to pull out some appraisal reviews. Some good reports and some bad. But first I have to do some housekeeping. The reviewer’s opinion about quality must encompass the completeness, adequacy, relevance, appropriateness, and reasonableness of the work under review, developed in the context of the requirements applicable to that work. There are several key points I’d like to make. 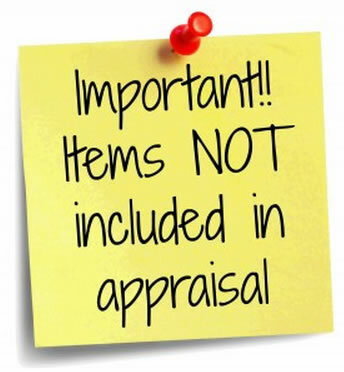 Notice that in a review you are forming an opinion of the appraisal even if you would have done the appraisal 100 percent differently. There is no mention of providing a different value if you results of your review indicate substantive problems that would naturally lead you to be skeptical of the final value conclusion (this can be overcome by doing all the work under Standards 1 and 2, but then again that’s an appraisal which is a separate service from a review). There are different types of reviews. A pure desktop review usually only uses the appraisal report under review for its data. A field review is usually the other extreme where the subject and comparables are inspected. In between can be independent research into sales, rentals and other data. So what if you don’t agree with the value opinion? Although it is not covered by Standard 3, this topic is addressed in the USPAP Frequently Asked Questions. If you need to conclude a different value, you will need to develop that opinion under Standards 1 and 2, the same standards that apply if you were the original appraiser writing the appraisal for review. Technically, you can develop it under Standard 3, but if the report is poor enough to warrant concluding a separate value, I do not believe it prudent to simply use the data to conclude a different market value without doing all the homework you would do if you were doing a full blown appraisal. So simply doing a review and concluding a different market value from the other appraiser’s report is typically not good review practice if you only rely on the other appraiser’s data. Another issue addressed under Standard 3 is competency. For a marina, I find this issue to be huge. Just like it would not be wise to hire an appraiser who has never appraised a marina to perform one, reviewing a marina when you have never appraised one violates USPAP’s Competency Rule. Are you ready for a shock? In my opinion, even if an appraiser has appraised a marina, they are not competent. There is no quantity test for competency… it’s quality. The Competency Rule states that “you must have the knowledge and experience to complete the assignment competently.” As I discuss in review appraiser competency below, applying the same rules you use for every other property type to a marina results in an inaccurate market value conclusion and an appraisal that is not competent. If you don’t understand the business of marinas then the value conclusion is nothing more than a dart throw. For all you attorneys out there, this is how you attack and destroy a flawed marina appraisal on the witness stand. You prove the appraiser is not competent and in violation of USPAP’s Competency Rule. The result is the appraisal is thrown out of court. Strange but oh so very true. So let’s say you’ve appraised a few marinas before. Technically under the Competency Rule, you may be qualified to do a review. For common property types like apartments or offices, I’d say that is true. For marinas, I’m a disbeliever. I say this because too many of the common property type rules do not apply to a marina, which is a special purpose property. 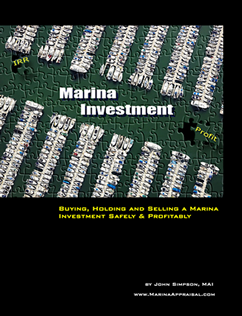 The 40 percent operating expense ratio of an apartment project does not apply to a marina. Korpacz’s expected investment rates do not apply. Band of investment is bogus. I could list some more, but the point is made. You need to understand what is different and what is unique about a special purpose property to be competent and produce a credible review. Too many bank reviewers miss these two facts; instead, they put their stamp of approval on an inflated appraisal and today we’re seeing these loans wind up in foreclosure and litigation. I know because I get to read those appraisals. 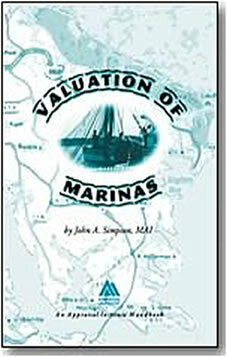 Part 2 of this series will address the Introductory portion of the marina appraisal.